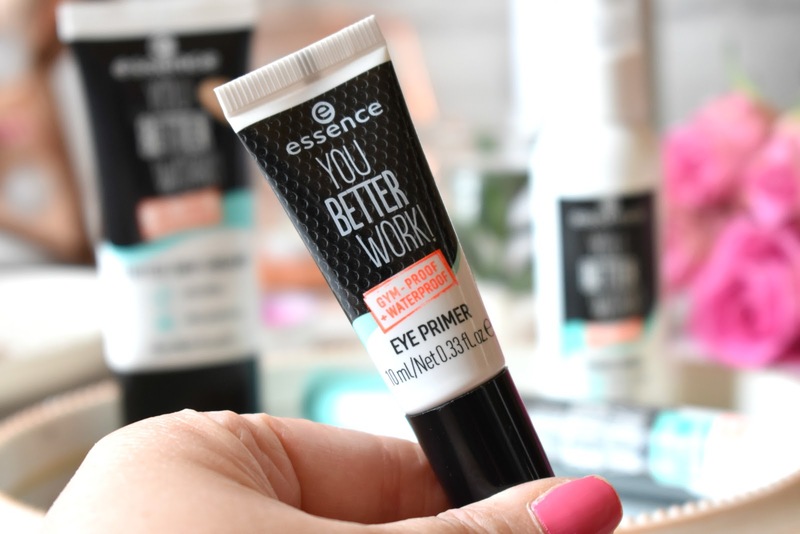 HaySparkle: Essence 'You Better Work Range' Reviewed! Essence 'You Better Work Range' Reviewed! 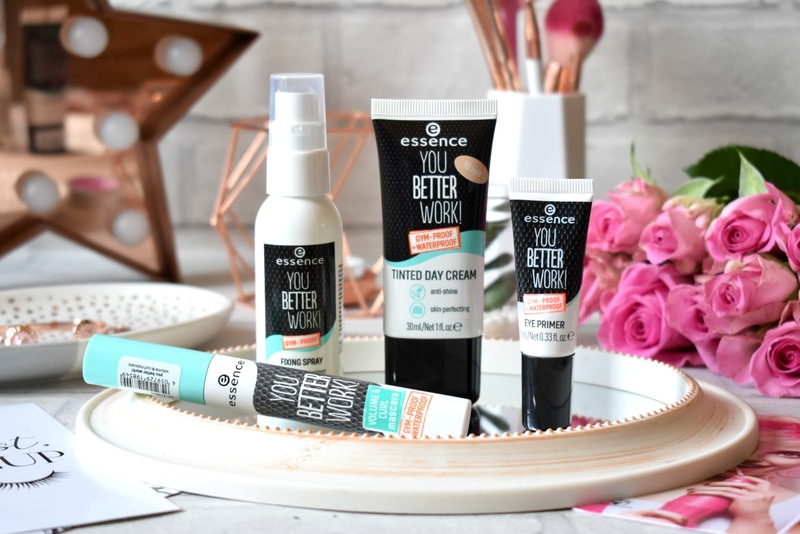 If you've been reading my blog for a while now you'll know that I'm a huge fan of Essence Cosmetics, it's so affordable and actually very good quality - I literally swoon at their lippies and nail polishes, their so so good! 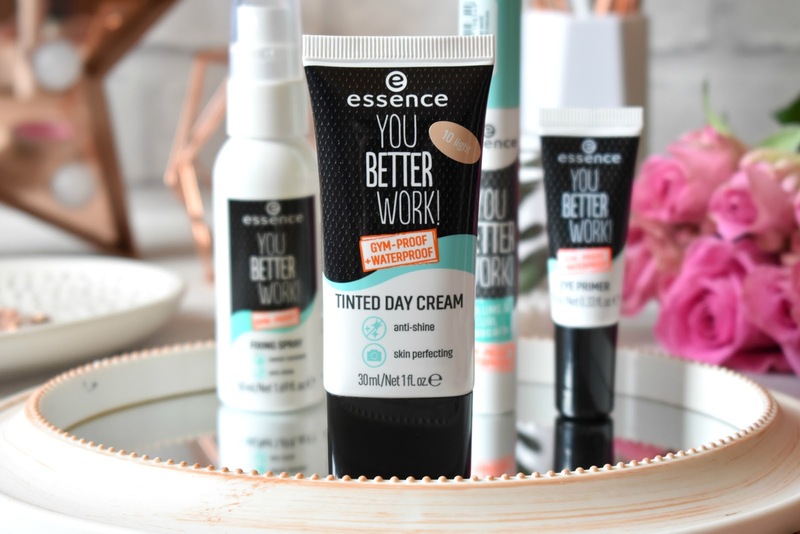 Anyway... recently Essence have launched a gym-proof range named 'You Better Work!' full of everything you need to keep your makeup looking it's best and staying put even in a sweaty gym during your workout or on a mega hot Summers day! 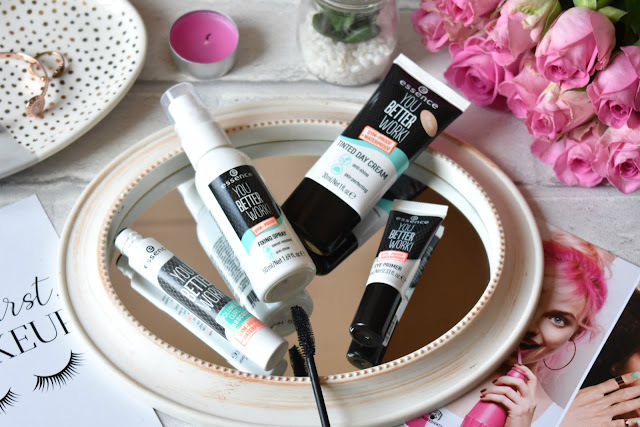 If your anything like me then you don't like to leave the house without a slick of mascara on your lashes and a bit of tinted moisturiser on your face at least, so I was really looking forward to giving the You Better Work Volume & Curl Mascara* a whirl a long with the Tinted Day Cream in Light*. 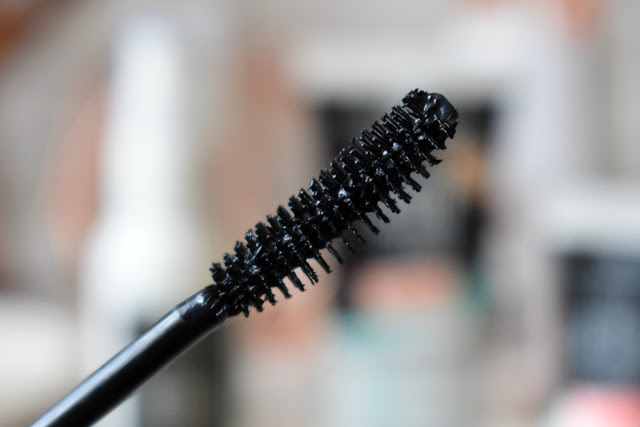 Mascara's have to pass a lot of tests for me, I like something super long lasting that wont transfer, smudge, run or flake and I like plenty of length, volume and curl and Essence have literally answered all of my mascara prayers with their Volume & Curl Mascara. This stuff stays put like nothing else and builds up beautifully, and even though it's waterproof it isn't tough to remove with my cleanser at the end of the day, yassss! The Tinted Day Cream (£3.80) is actually very good, it has a light-weight formula as you'd expect with a light coverage but some how it makes my skin look super healthy and is perfect for that 'no makeup look', it has a nice matte finish as well so it keeps shine and sweat at bay and it also features a UV filter to keep your skin protected in the sun which is always a bonus! I can see myself using this loads in the Spring/Summer months that's for sure! Setting sprays are absolutely huge right now and I bloody love a good setting spray to make me look all glowy and dewy however the You Better Work Fixing Spray* (£3.00) is actually mystifying so I wasn't sure how I was going to feel about it at first. 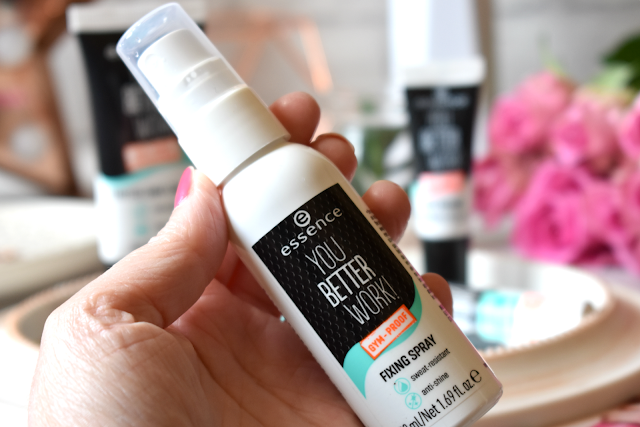 The spray itself is very refreshing and cooling so I can see why this little beauty would come in handy at the gym and whens it's hot, and if you like a matte finish then I cant recommend this enough as it really does set your base makeup and keep shine at bay, but for me right now I do prefer something more dewy but definitely in Summer I'll be reaching for this a lot when I want to look matte and not a sweaty mess lol! Finally I've been giving the Eye Primer* (£2.80) from the collection a whirl! I've found a little bit of this goes a long way, you literally need the smallest amount to get a nice base for your eyeshadow to blend on top of! I've actually found that this particular primer works really well with eyeshadow crayons, it really keeps the creamy formula in place without creasing which is something I've previously struggled with! All Essence products are available from Wilko stores or online HERE. I didn't even know that they came out with this range, I quite like the idea behind it though. Mascaras are normally a nightmare for me, on a daily basis, as they always seem to transfer and smudge under my eyes so I'd like to try this one. ADEXE Mini Sistine Watch in Rose Gold! March Degustabox Review + £5 off Discount Code! Zoella X Colour Pop Haul + First Impressions! March Fashion & Beauty Wishlist! My New Favourite Dress + My Very First OOTD! Easy Cadbury Diam Mini Egg Brownie Recipe!